Metropolitan commercial television licensees are scarcely meeting the requirements for children’s programming compliance standards, a new report from watchdog the Australian Communication and Media Authority (ACMA) shows. The report found Nine, Seven, Ten and all respective multi-channels were found in compliance across every category, although in some areas – particularly children’s programs – they had met the bare minimum requirements. Among the three commercial free to air networks, first release children’s programs – which require a minimum of 130 hours of coverage – quotas were met. However Seven just met the requirement – at 130 hours – Nine delivered 130.50 hours and Ten delivered 132.50 hours of content. When putting all Australian preschool programs together, for both primary and non primary channels, each network produced just 130 hours – the bare minimum again. But the report is no surprise. All three commercial free to air networks have at some point voiced concerns about the quotas they must meet for children’s content. In 2016 at the Screen Forever conference in Melbourne, the commercial TV networks suggested they would pay the ABC to deliver content, rather than meet quotas for children’s drama. Last year, a study published by Free TV which looked at the changing views of Australian kids and commercial television, revealed said while the three broadcasters were delivering more than 1,170 hours of C and P programming, the number of children watching the shows had reduced. Declines were attributed to children’s preference for publicly-funded ad free destinations and on-demand content from services such as Netflix, Stan and catch up. YouTube has also become a main source of children’s programming. The ACMA’s latest report has also shown a number of regional television licensees have breached Australian content compliance standards. According to the 2017 report, 12 of the 60 regional licensees failed to comply with one of the requirements, namely, the multichannel transmission quotas. The 12 licensees were affiliated to Nine Network and were taking two of the multi-channels when the agreement was signed. However Nine then moved a significant amount of its content to third multichannel, 9Life, which wasn’t carried by the licensees. ACMA told Mumbrella that as the regional licensees did not have prior warning of Nine’s action to move Australian content to 9Life, the detriment to audiences was low and the amount of Australian content on the main channel far exceeded the shortfall, it would dismiss the breaches for 2017. However it has advised the 12 regional licensees must be in compliance in 2018. “The 2017 breaches were quite different to those in 2016. WIN and Southern Cross Austereo licensees switched their primary affiliation arrangements mid-way through 2016. This resulted in 10 regional licensees failing to meet their first release Australian drama quota requirement and 14 regional licensees failing to meet the requirements for first release children’s drama and children’s program quota,” a spokesperson said. The primary and non primary channel transmissions quotas require 55% of programs to be on the respective channel. First release Australian documentaries are required to make up 20 hours on channels in metro cities and regional areas. There is no requirement in terms of hours for first release drama, but channels in both metro and regional areas need a minimum score of 250. But in metro and regional areas, stations are required to run 25 hours worth of first release children’s drama. In other areas, such as first release Australian documentaries and drama, a large portion of content came from New Zealand, which is often cheaper. While Nine, for instance met its minimum annual score requirement for first release drama – with 344.46 hours of content in Brisbane, Melbourne and Sydney – 25% of it was made up of New Zealand produced work. Although Seven and Ten did not have any New Zealand-produced drama in 2017, quotas were filled in documentaries with content beyond Australia. In each of the metro cities, approximately 16% of Seven’s first release Australian documentary came from New Zealand. On Ten, of the 20.58 hours of documentaries which ran in each metro city, 26.72% of it was New Zealand documentary content. Without that 26%, Ten would not have met the compliance standard of 20 hours. “The Australia and New Zealand Closer Economic Relations Trade Agreement requires New Zealand television programs to be treated as Australian programs,” an ACMA spokesperson said. “In 2017, the three metropolitan networks broadcast over 23,000 hours of Australian programs, of which 409 hours were New Zealand programs, that is, less than 2% of total Australian content broadcast. “In 2017, over a dozen regional broadcasters didn’t meet their local content obligations. New Zealand content accounted for 25 per cent of Nine Network’s drama, 25 per cent of the Ten Network’s documentaries and the Seven Network broadcast 290 hours of New Zealand content. Deaner said he was disappointed by the Government’s inability to propose a solution to the New Zealand content loophole. He demanded change, particularly in light of the broadcast licence fee reductions provided to the commercial broadcasters. “These results come at a time when commercial broadcasters have been handed hundreds of millions in broadcast licence fee reductions, called on the Government to launch a series of measures aimed at strengthening their competitive position to the detriment of all others in the supply chain and the market. “Elsewhere, $140 million has been found for international productions and $84 million has been cut from the ABC. Most gallingly, the commercial broadcasters want their children’s obligations removed. “Collectively, they spent $6.7 million on children’s drama in 2016-17. 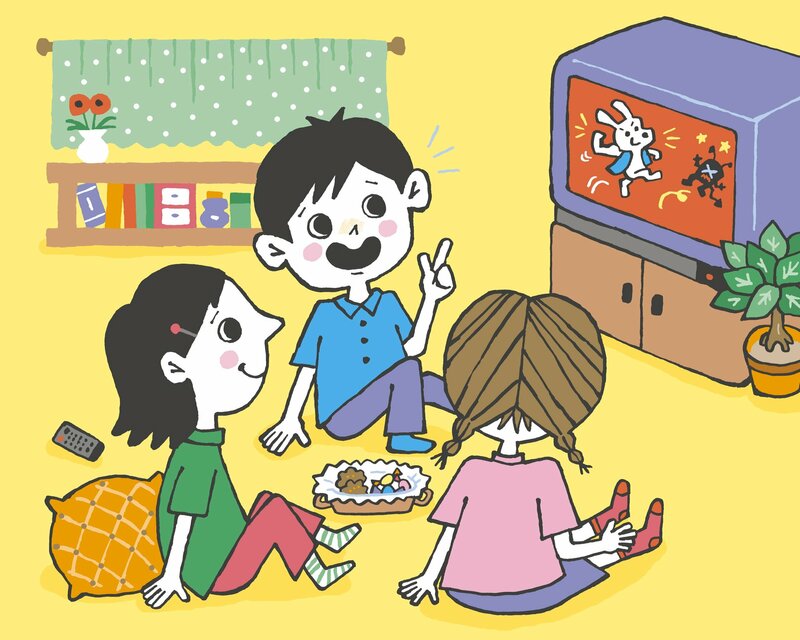 SPA stands ready to work with the commercial broadcasters on a mutually acceptable solution to children’s television, but the broadcasters must come to the table,” he said. It’s not often a staunch unionist can agree wholeheartedly with the head of an employer association – but Matthew Deaner from Screen Producers Australia is spot on! His comments on the $200 million+ handed to the commercial TV networks by reducing their spectrum licence fees simultaneously with asking for removal of children’s program production obligations, are especially pertinent. The networks pay spectrum fees to license OUR publicly owned airwaves to make their money yet the Federal Government made no demands that FTA networks produce MORE Australian programming in exchange for this multi million dollar windfall. Instead, commercial TV is asking the Government to reduce local content obligations & strengthen their competitive position “to the detriment of everyone else in the supply chain”. That’s us – the screen technicians, actors, directors, cinematographers, writers & editors as well as the production companies, post houses, film equipment suppliers who employ us. Our working lives & income are dependent on consistent levels of Australian drama, children’s & documentary program production. This can only be guaranteed by continuing, enforceable content quotas. The industry speaks with one voice on this – TV Make It Australian – & has done since the 1970s. The cultural argument supporting the telling of Australian stories in our accents to Australian children, is equally powerful. Similarly – why can’t the Government & ACMA come up with a formula that programs which have already been screened in New Zealand should not count for the same “first release” content points when they appear for a second time on our TVs? ?